On my quest to become a digital nomad I will not only be testing out different jobs, but also different destinations, that’s what makes it fun. While many digital nomads are already living the 4-hour work week dream, staying at luxury hotels and eating lobster every day, most of us beginners really need to keep an eye on our pennies while we strive for lobster. That’s one of the reasons why Thailand is so awesome for newbie nomads, it’s fun, safe, easy, has great food, lovely beaches AND it’s cheap! After starting my nomad adventure in Chiang Mai, I have since made Koh Phangan my base for the rest of the year. The decision was made super easy because I scored an internship at Koh Space, a cool new co-working space in the island. One of the best perks of the internship is that my boyfriend and I get a free room and 2 meals a day in exchange for helping the resort with their social media. In order to make this budget report more useful universally, I decided to use the budget on Nomad List as a reference point. Nomad List is a great resource for digital nomads; it’s basically a list of destinations worldwide with living costs provided for each of them and broken down into local, expat and nomad budgets. According to Nomad List, the cost of living on Koh Phangan is $719 per person per month. Now that sounds reasonable! I’ve lived here for a month now and have tracked every single dollar I’ve spent. I did some research on long-term rentals and created a little infographic with all my findings. The categories I used are wifi, accommodation, food and transport costs. Check it out below! 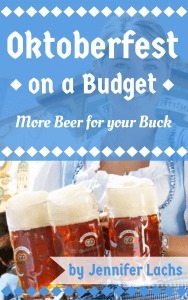 Of course, it’ll be more expensive if you party hard or want to do many activities like paddle boarding, scuba diving etc. So, as you can see in the infographic, it’s totally possible to live off the Nomad List budget of $719 a month on Koh Phangan. According to my research you can even do it for $600 or less if you’re sharing with a partner or friend. I always work best at co-working spaces and Koh Space has a great low season deal monthly deal for 3900 baht or $110. If you prefer to work from a café, you’ll have to calculate around 2 coffees per day at 70 baht or $2.50 each, which brings the monthly total to 5000 baht or $150. A simple bungalow with a fan will cost you around 5000 baht or $140. Don’t expect a beach location or luxury, but at least it’s very cheap. If you prefer a nicer bungalow with air-con and a beach view, you will be paying around 10000-12000 baht or $280-330. Though it’s still very affordable, if split between two people. The last option is to stay in a hotel room or guesthouse, which starts from 6500 baht or $180 per month and can obviously go up to hundreds of dollars per night if you want pure luxury. This is one of the best areas to make savings. Local street food and market food costs around 50 baht per meal, and even nice but simple local restaurants charge as little as 60 baht for fried rice, and local curries or soups. Nicer local restaurants cost anywhere from 60 baht up, and you can dishes like whole fried fish with sticky rice and iced tea for 150 per person in the right places. There are plenty of Western restaurants to choose from which are obviously more expensive than local food, but still affordable. A burger will cost you around 150 baht or $4, and pizza starts at around 200 baht or $5.50. Now this was the only thing that surprised us when we arrived. The local taxi trucks, or songtaos, charge 100 baht for a standard ride and up to 300 baht for a long ride across the island. This is way more than in Chiang Mai. Renting a scooter gives you much more freedom and is also much cheaper, especially if there are two of you. A simple scooter starts at 2500 baht or $70 and fuel is nearly negligible. So all in all, wifi, accommodation, food and transport together ranges from $600 to $950 per person per month, and if two of you are sharing a room and scooter it’s even cheaper. Who would’ve thought that it could be this cheap to live on a tropical island? So what are you waiting for? Come on down to Koh Phangan, grab a coconut and get working! We won, we won! 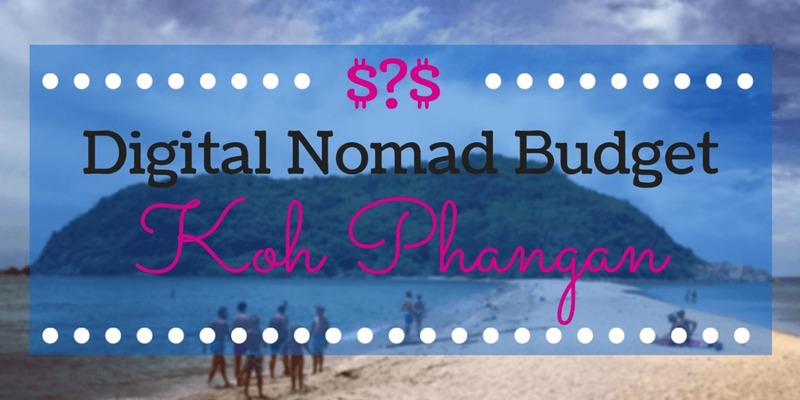 The Digital Nomad Internship on Koh Phangan Digital Nomad Income Report July 2015 RTW budget worries: will we have enough?